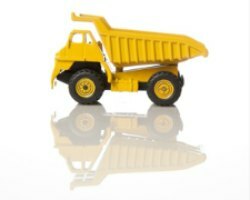 Get great value insurance for your Tipper or Dump Truck. Flat bed tippers, dropside tippers, pick-ups all covered. Tippers represent an increased insurance risk as the cost of the tipping mechanisms makes them more expensive than a similar size truck. Tippers are at greater risk of being stolen as they can be stripped for valuable parts. Depending on your use, All Risks or Full Responsibility goods in transit cover could be necessary. Tippers being used for quarry materials or building materials often need this cover as you may not be able to restrict your responsibility with conditions of carriage terms. If you are running your own business you may want to think about extending your cover beyond basic third party and get liability insurance included. You will find the panel of specialist insurers we are partnered with provide a wide range of policies designed for all sorts of tipper drivers driving all kinds of vehicles, both designed for on road and private land use. Remember that as well as tipper insurance you can access breakdown cover, legal expense protection insurance and commercial / business car cover. Run an online quotation now! If you prefer, call for a quote over the phone. Companies able to offer telephone quotations include Autonet (0800 080 5295 quoting reference 9032) or Insurance Choice (0843 2270120). When starting your search for Tipper Insurance, it's well worthwhile taking time out to consider all the ways you are likely to use your Tipper. If you don't, you run the risk of buying cover you don't need or finding you are not covered for a risk that is required. Amending a policy to include additional cover later often attracts administration charges. Do you only carry your own goods or is your tipper used for haulage? Can you restrict usage to named drivers or is any driver cover required? Can you store it in a secure area overnight? Will you need European Cover? Do you have a Tracker fitted? Are there discounts for a Datatag? If you are a member of a trade body can your policy costs be reduced? Choose Comprehensive, Third Party Fire & Theft or Third Party only cover when taking a policy, but do check out the saving you are making if opting for a Third Party policy - often they are surprisingly small.